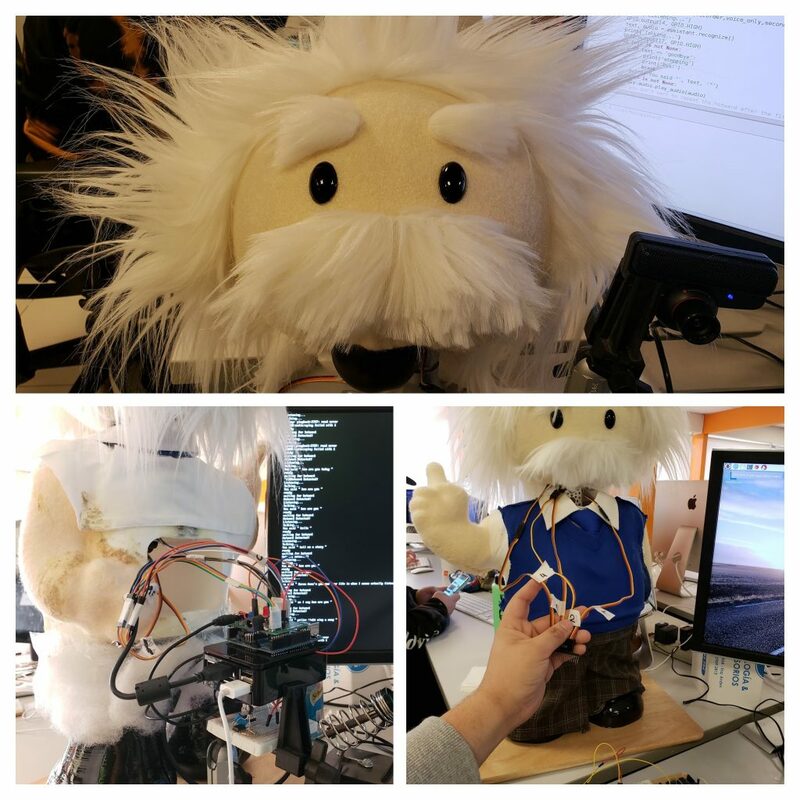 One of the coolest projects we’ve had the opportunity to work on this year was without a doubt the Einstein Voice robot that we built in partnership with our friends at Salesforce. 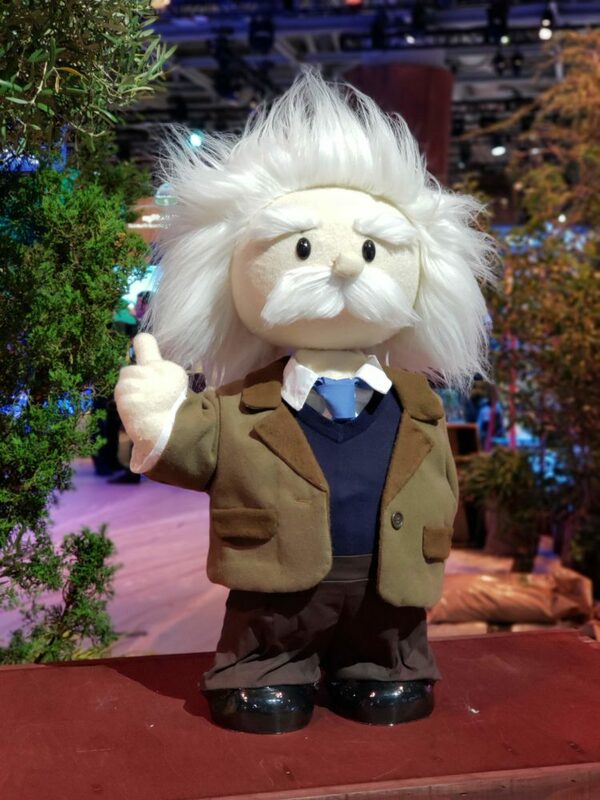 If you attended or followed along with Dreamforce this year you know that Einstein Voice was a very big part of the show for Salesforce and in the lead up to the event, they knew that they needed something special to really highlight what could be done with Einstein Voice and that’s how the project began. How could everyone get wowed at Dreamforce? Our team at Oktana took up to the challenge of making that happen in collaboration with Salesforce. Einstein is Starting to Come Together! Once puppet Einstein was all put together it was finally time to bring him to life! First, we needed to find a way to control the motors which drive the different expressions Einstein can make and for that we opted to use an Arduino. Next, we needed to find something that would both control Einstein’s movement, sending commands to the Arduino, but also listen to voice commands and respond to them as a smart speaker does. For that, the decision was made to use a Raspberry Pi. The pairing of an Arduino and Raspberry Pi allowed us to do everything that was needed while also keeping things small enough to fit inside puppet Einstein. At this point, we paired the tools that our partners at Salesforce had developed for Einstein Voice with new tools built specifically for this project to allow puppet Einstein to understand your requests and get that data for you from your Salesforce instance while looking like he’s thinking and speaking to you. Finally, Einstein was alive and ready to take the stage! But the long road from the UK to Uruguay and finally to Dreamforce wasn’t over yet because before heading to San Francisco he had a little layover in Hawaii. While there he got to show off his talents in front of a group at a smaller VP level Salesforce conference as a prelude to his bigger performance. Thankfully, everyone liked him so much that they offered him his own stage at Dreamforce! Now he had the chance to strut his stuff every 15 minutes in the Einstein park. 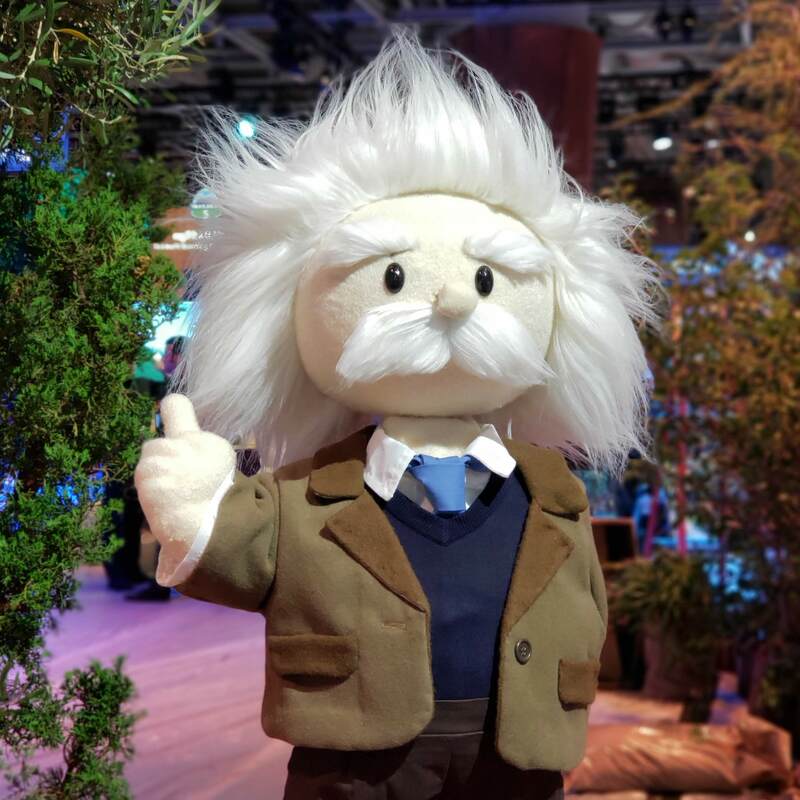 Additionally, at Dreamforce, our project lead did a full presentation on this project so if you want to hear even more about how we brought Einstein to life be sure to check that out here. You might be wondering, what’s Einstein up to now? Right now he’s living with the Einstein Voice team at Salesforce in San Francisco but that doesn’t mean we’ve seen the last of him. So, be on the lookout because he just might show up at the next Salesforce conference you attend.